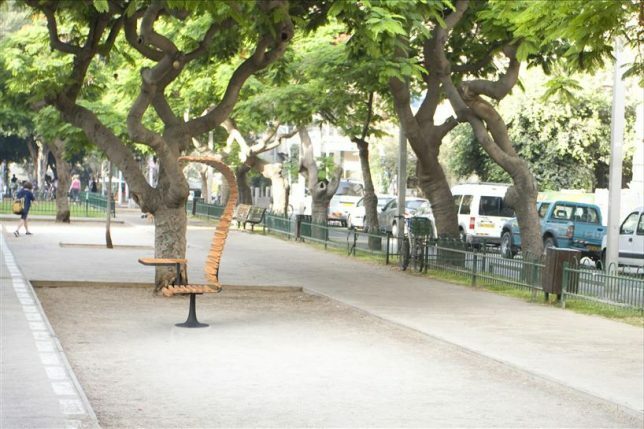 Lots more of us would leave our offices and work in the fresh air if we had access to this smart piece of street furniture by Adi Kalina. 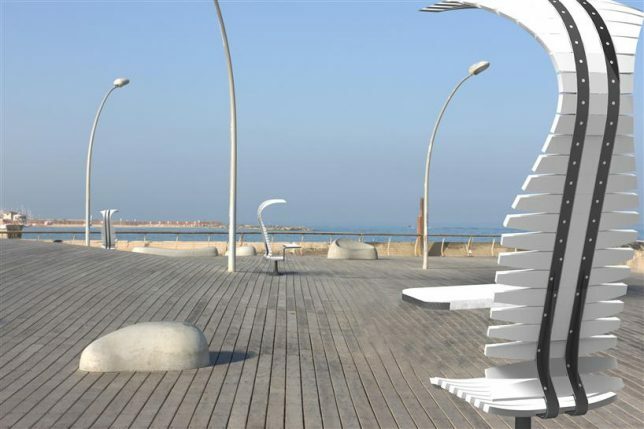 ‘Outdoor Office’ is an ergonomic wooden chair with long back rising into a built-in sun shade. 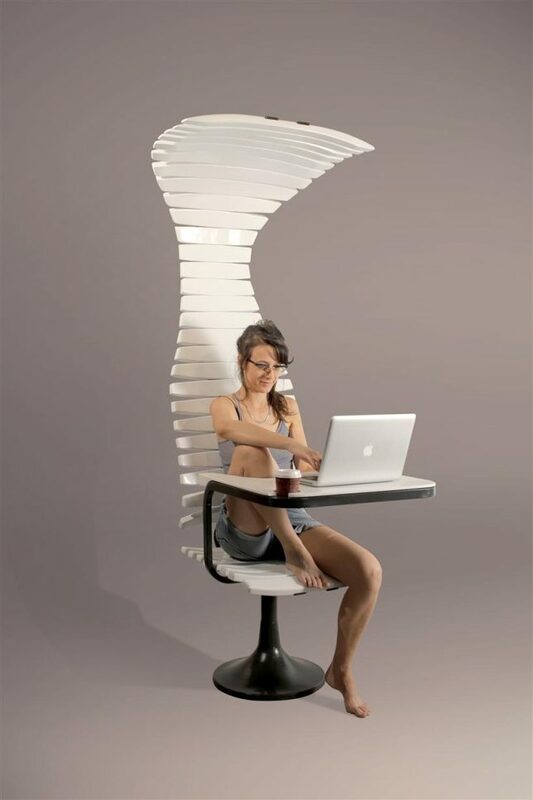 The whole thing swivels so you can keep the sun out of your face at all hours of the day, and there’s even a cupholder. 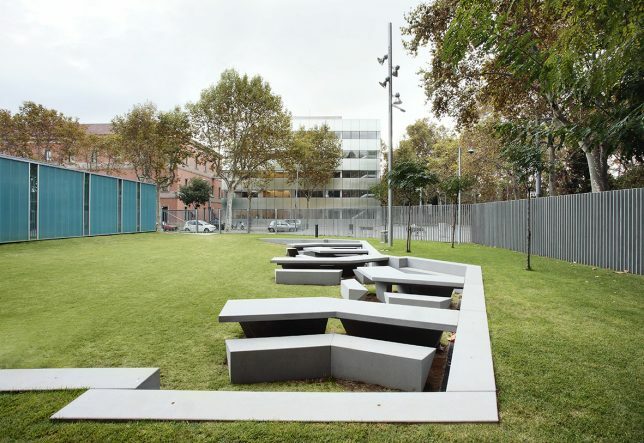 Tables and benches nestle into the grassy area outside a school in Barcelona, becoming a part of the landscape, with ‘Zona Verde Campus’ by F451 Architecture. 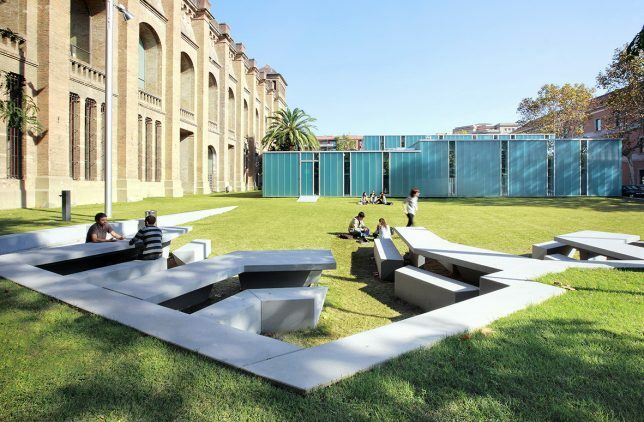 The new congregation area separates two terraced levels of the green, with the seating organized to accommodate groups of all sizes. 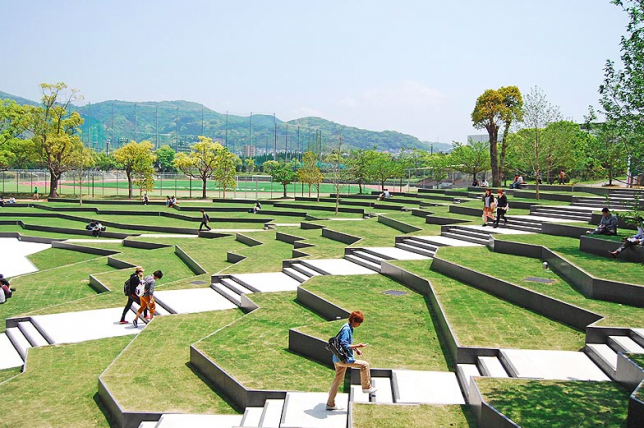 At Kyushu Sangyo University in Fukuoka, Japan, the park-like campus landscaping by Design Network includes a plaza recalling the terraced rice fields of the traditional Japanese countryside. 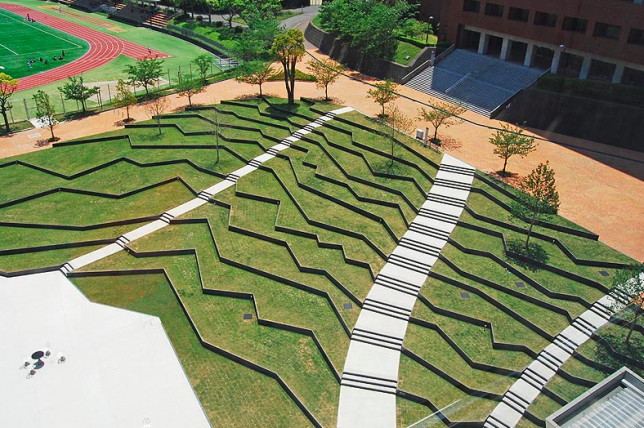 This irregular pattern leading from a lower level of the outdoor space up to the sidewalk outside one of the campus buildings functions as steps and benches without sacrificing any grassy areas. 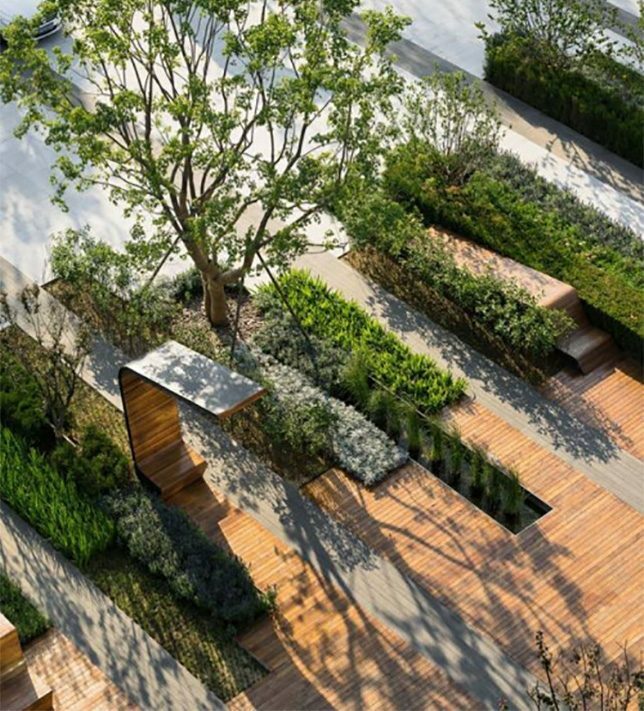 Tiny benches just wide enough for two people are integrated right into the wooden boardwalk in Beijing’s Beigijia Business District, rising up into the air and folding over like an extension of the horizontal surface.